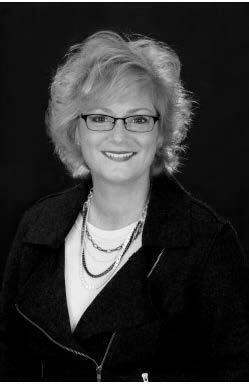 Dr. Jeralyn Fantarella has operated her own general dentistry practice for over 20 years. Her practice, which has earned her recognition in New Haven Advocate’s “Best Of” readers’ poll, specializes in family dentistry with an emphasis on preventative, restorative, cosmetic, and implant dental care. Dr. Fantarella received her Bachelor of Science degree from Fairfield University in 1983. From 1983-1985 she taught biology at Fairfield College Preparatory High School. In 1989 she received her Doctor of Dental Medicine degree from Tufts University School of Dental Medicine. She completed her residency at the Hospital of St. Raphael in New Haven and the Veterans’ Memorial Hospital in West Haven, CT.
For the past 20 years, Dr. Fantarella has been a member of the New Haven Connecticut Dental Society, American Dental Association, and the Connecticut State Dental Society serving as a state representative for that board. She also participated in the University of Connecticut School of Dental Medicine and Boston University School of Dental Medicine Mentoring Programs. Always active in her community, Dr. Fantarella is the creator of The Silver Moon Smiles, an intergenerational program that fosters friendships between senior citizens and children. In October 2016 she created and hosted the first Greater New Haven Walk for Children with Apraxia of Speech. The walk generated awareness and significant monies to facilitate the understanding and treatment of apraxia in children. Currently Dr. Fantarella resides in North Haven, CT with her son, William Raccio. William attended St. Thomas’s Day School from Pre-K through the 6th grade. Dr. Fantarella credits St. Thomas’s for nurturing and directing William’s physical, intellectual and spiritual development. As a Trustee, Dr. Fantarella desires to continue her involvement in pursuing the long term goals of St. Thomas’ Day School and believes she will be in a position to contribute to the school’s mission.